All artists from Kir Finland participated to several “clown cafes” and workshops activities in the city of Helsinki and its surroundings during 2017 for around 300 refugees. During the whole year 2016, Clowns Without Borders Finland gave workshops for young people (aged 12-29) in asylum centers, and performed some shows. In 2015, Clowns Without Borders Finland toured through Finland to give workshops to refugees. In 2015, Clowns Without Borders Finland did a summer camps for refugees, with 20 to 50 people per workshop. 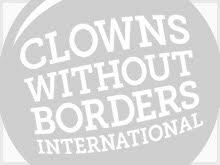 In 2012, Clowns Without Borders Finland performed a show in a refugee center, for 50 refugees.